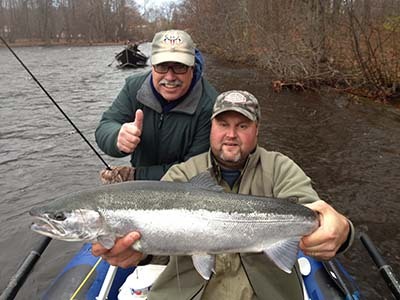 April thru Oct. fish for Rainbow and Brown Trout up to 20" range on the Ausable and Delaware Rivers. Captain Mark Dysinger has fished the New England salt most of his life. Although he is skilled in many angling methods, he is most accomplished with the fly rod. 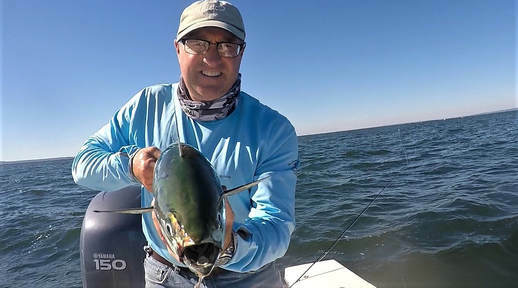 He specializes in the northeast slam of striped bass, bluefish, and false albacore. Athough he guides in Long Island Sound and its surrounding waters, he is also passionate about freshwater fishing and is a recognized authority on flyfishing for northern pike. ​ Capt. Vinny Catalano has always had a strong passion for fly fishing at a young age and after countless hours on the water from boats, beaches and along river banks he decided to turn his passion into a career and hasn't looked back since. For him sight fishing is the ultimate game and most rewarding, there's no better feeling when an angler and guide work together to visually experience "The Eat"
In season you'll find him guiding up and down the North Shore of Long Island along with the North Fork and fall runs in Montauk. He also ventures with his clients to the lower main stem of the Delaware River and hosts trips during the winter months to South Andros Bahamas and Belize. Captain Tim O’Rourke has been living and fishing in Montauk for over 30 years. He started guiding over twenty years ago after earning his 100 Ton Masters license. In 1996 he opened North Bar Adventures a fly fishing and light tackle guide service. In 2001 he took a break from guiding to buy a house in Montauk and start a family. 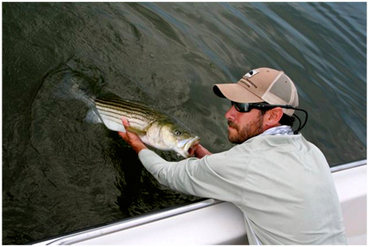 In 2009 he decided to return to guiding, opening up as Montauk Point Fly Fishing. So if your fishing goals include stalking the shallow waters of Block Island Sound and Gardners Bay on a 20ft Hewes light tackle. Or fishing the famous Montauk fall run aboard a customized Parker 21se. 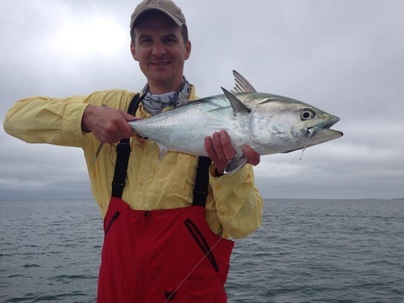 he will do everything he can to provide a true Montauk fishing experience. 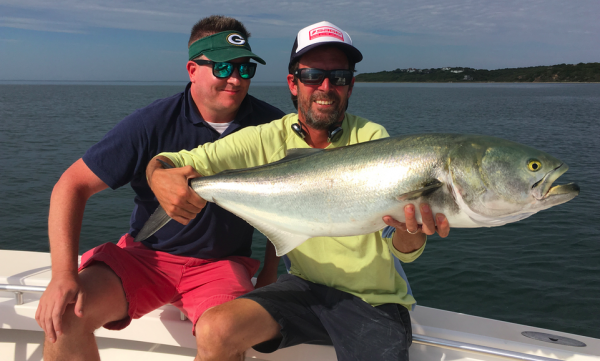 When not out fishing with clients, he can be found with his two sons teaching them about the benefits of Montauk and the incredible environment of the East End. Capt. Frank Macchia has been fishing the south shore of Long Island for over 20 years. 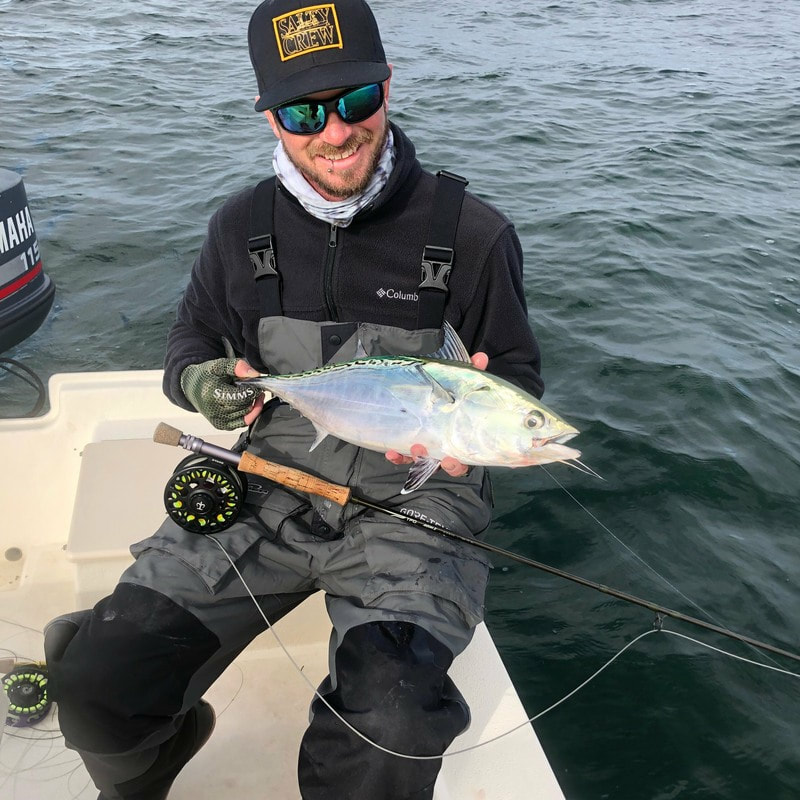 While he mainly concentrates on fly fishing for Striped Bass locally, chasing false albacore from Rhode Island to North Carolina is what drives his operation. Flexible hours and points of operation can maximize your time on the water. Fish the tides before or after work, the fall run in Montauk or chase Albies up and down the coast. Capt. Dave Flanagan is a USCG licensed captain with an O.U.P.V. 6 Pack license. With over 20 years boating experience and fishing on the Long Island Sound and surrounding waters we can assure you a terrific trip. New this season is his 2003 Jones Brothers Cape Fisherman 20 Light Tackle Edition, outfitted with high end electronics and state of the art bow mounted Minn-Kota Trolling Motor for the ultimate in Fly and light tackle fishing. With a mix of shallow draft and high gunwales this is the perfect boat for our waters. We use top of the line tackle including Penn Reels, Temple Fork Outfitters Rods and 3-Tand Fly Reels.